Summary: The description, specs, photos, pricing and user ratings for the IO M214-Nano pistol. The M214-Nano from the right. 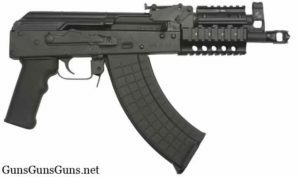 IO says this gun accepts all AK and RPK magazines. 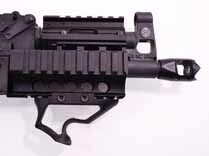 It also offers a forward rail-mount finger grip to help you hold the muzzle down during fire. 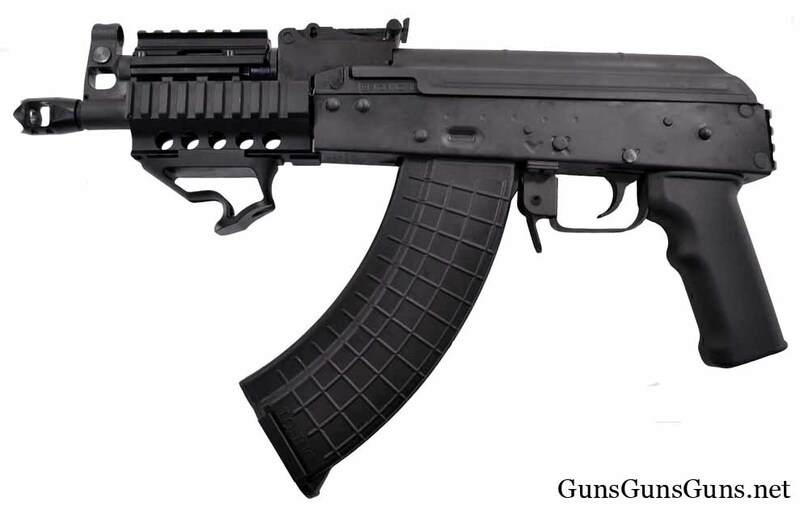 7.62x39mm 30+1 7″ 17″ n/a n/a 5.5 lbs. The M214-Nano from the left. The M214-Nano with the forward rail-mount finger grip attached. 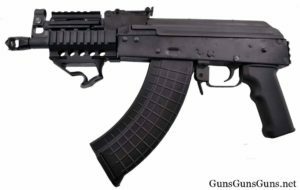 This entry was posted in $501-$750, $751-$1,000, 7.62x39mm, AK, Full size, IO, Semiauto on November 25, 2016 by Staff.